4 September / Starting on 3 September, an electric bus will begin travelling between Tartu’s bus station and railway station. Its schedule timed to match the timetable for trains. The bus ride on the new route is free of charge, but requires bus card validation. The new number of the bus route is 25. The bus will make 14 trips each day, starting at 05.37 from the Luha stop in Annelinn. The remaining 13 trips will be made by the bus along the route Turu - Kaubamaja - Raudteejaam - Maarjamõisa - Raudteejaam - Kesklinn - Turu. The last ride of the day starts at 22.24, taking passengers from the train station to the city centre and from there to Ihaste via Annelinn. The schedule for the electric bus will be kept in sync with the arrival and departure of trains. The timetable can be viewed on the peatus.ee webpage. The electric bus will initially operate for one year (until 31 August 2019). The goal of the new bus route is to identify the technical and logistical conditions involved in operating an electric bus. The information obtained will be used to plan future regular service. 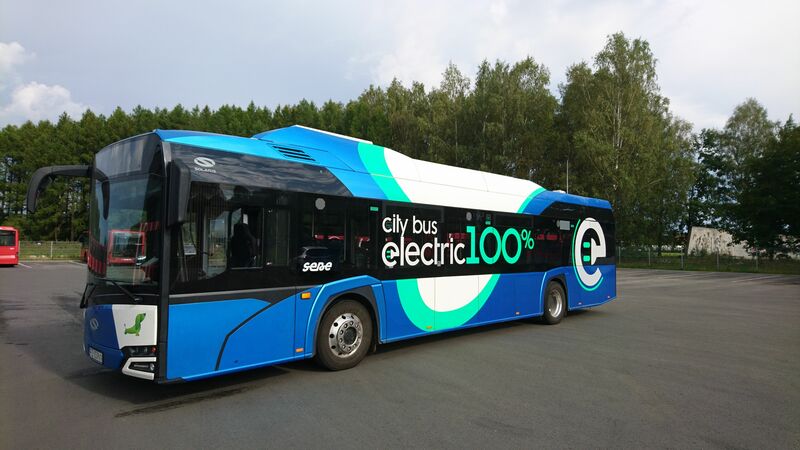 The electric bus pilot project is being implemented within the framework of the Baltic Sea Region programme BSR electric, and regular service is being partially financed by the European Regional Development Fund.